Kevin De Bruyne has urged Manchester City to crank the pressure up on their rivals this week but still doubts they will go the entire season unbeaten. 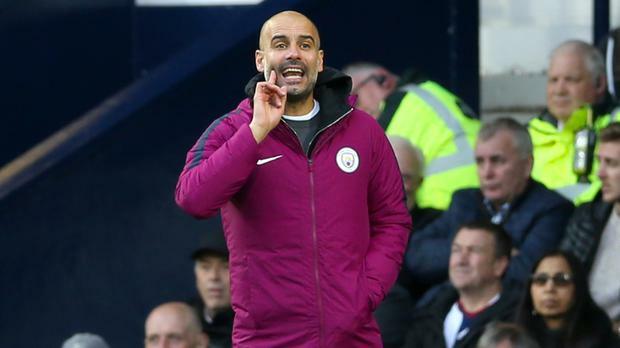 Leroy Sane, Fernandinho and Raheem Sterling scored to clinch victory at The Hawthorns, City's eighth straight top-flight win. Victory in Italy on Wednesday will mean City progress from Group F with two games to spare, but De Bruyne wants to avoid distractions. "We know if we go to Napoli and win then we'll have qualified. That would be a nice position," said the Belgium international. "It's important just to get qualified not about thinking about what it might mean, whether we could get a rest. If we are qualified, that is done. We might then have to think about finishing first or whatever but we know if we get a point or win, we are qualified." Jay Rodriguez and Matt Phillips gave the scoreline a more flattering look than the Baggies deserved and Kieran Gibbs conceded City are the best team he has faced. The left-back said: "I think so. Collectively they are strong everywhere. It's tough to play against. The way they move the ball, the way the players move position. It's hard to keep track."